Gym Motivation quotes: Slow and steady wins the race. Be patient. Most of us want things NOW. I know I want those gains RIGHT NOW. 😇 But.. What we do in the gym is a marathon and not a sprint. Things take time. Real change takes time and effort. 👉 And slow and steady wins the race. You gotta Be patient and make sure you train as hard as you can. Get in there as often as you can and work as hard as you can. If things go slow, remind yourself that it takes time. Remind yourself that this process of change will take time. And in the process, no matter how things go – make sure you never lose sight of your goals.. Think about them daily as you grind hard towards them. And you WILL win that race! 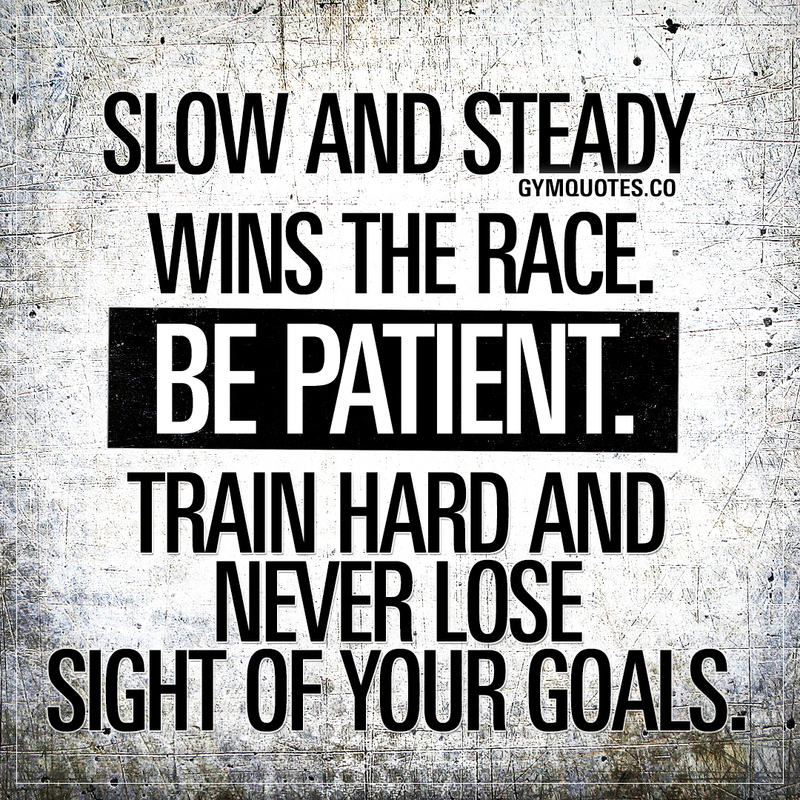 This “slow and steady wins the race quote” (image and text) is copyright © Gym Quotes 2019.